I love my kitties. We have 3 all together. It seems like every time someone knows there is a kitty in need they call me. That’s ok. 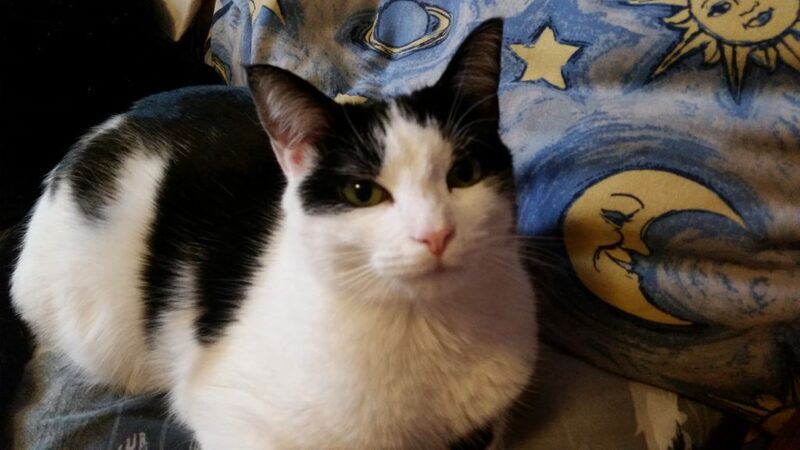 I am always ready to give a cat in need a happy home. They aren’t just pets, they are family. I know I am not alone. We have a houseful of cats, but you wouldn’t know it when you walk in. I make sure that I use Tidy Cats to keep the cat box smell to a minimum. As much as I love my kitties, I do not want to be knocked out with a dirty litter box smell. 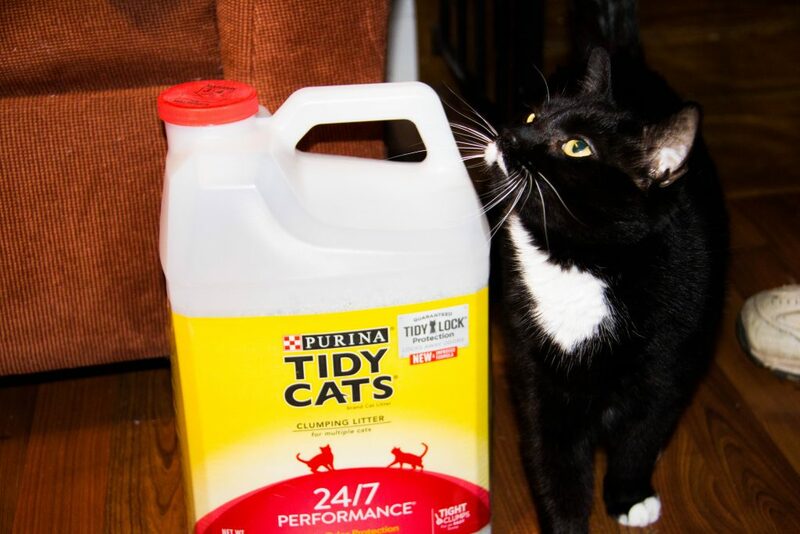 Tidy Cats offers all different types of litter to meet whatever your need is and they know, no one has time to deal with the litter box all the time. For the past 50 years Tidy Cats has been committed to the need for a low-maintenance litter box control, creating a fresh-smelling home. They have a new feature, guaranteed TidyLock™ Protection, to lock away odors that can cause Stank Face. The other night, my cat was looking for something to scratch on. One of the other kitties was using the usual scratching post, and it made me think. We need another scratching post. Some of the scratching posts I have seen are kind of expensive. So why not make my own. My cats love boxes, and we have a lot of them around. I am always getting packages in the mail. As soon as I take the products out, the cats jump in. 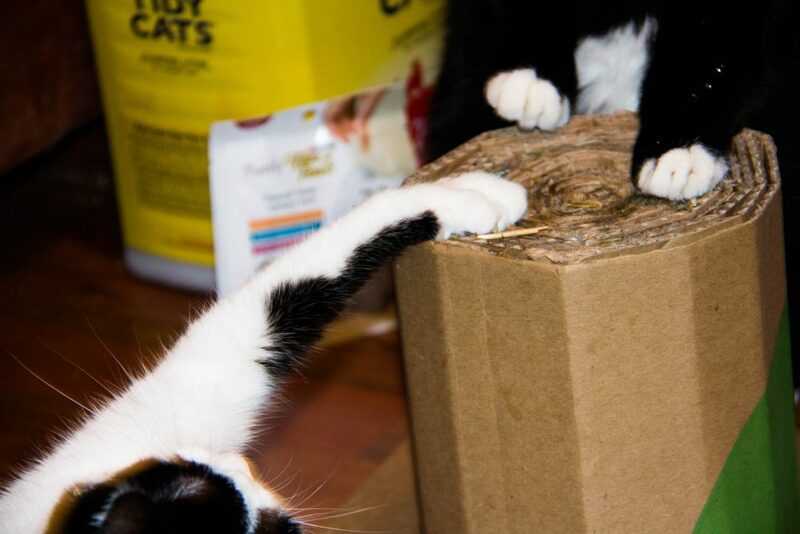 So why not make a scratching post for the cats out of the boxes that they love. Making the scratching posts is actually very is. 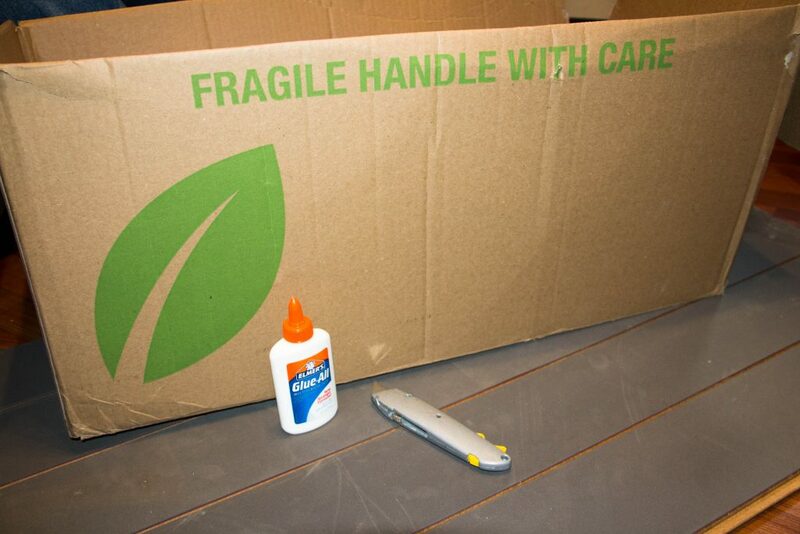 All it takes is boxes, something to cut with and glue. Decide how high you want your scratching post to be. Cut a few pieces to that width. Once you have the pieces, start to roll one up. You want it to be as tight as possible. When you get to the end of the piece, glue it down. 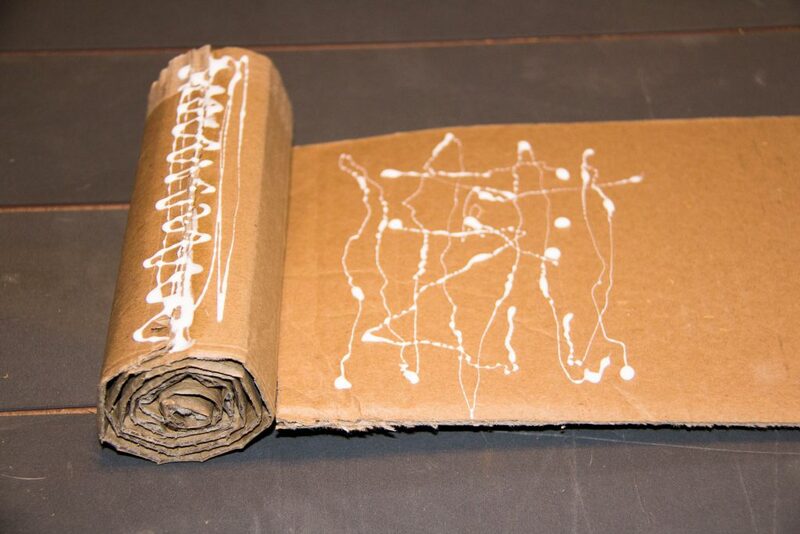 Then add more glue and start gluing the next piece on and roll. Do this for as many pieces as you have. The more you add, the wider the scratching post will be. 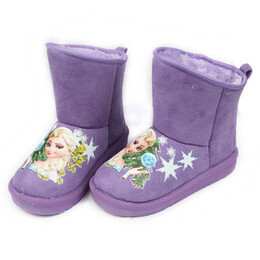 Depending on how high you made your scratching post you will want to add a bottom to give it some support to stay up. 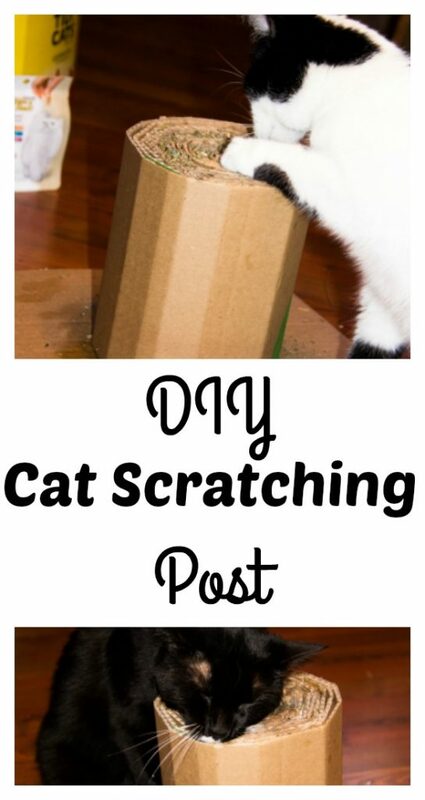 If you made a shorter scratching post, it should be fine without a base, but you can still add one. 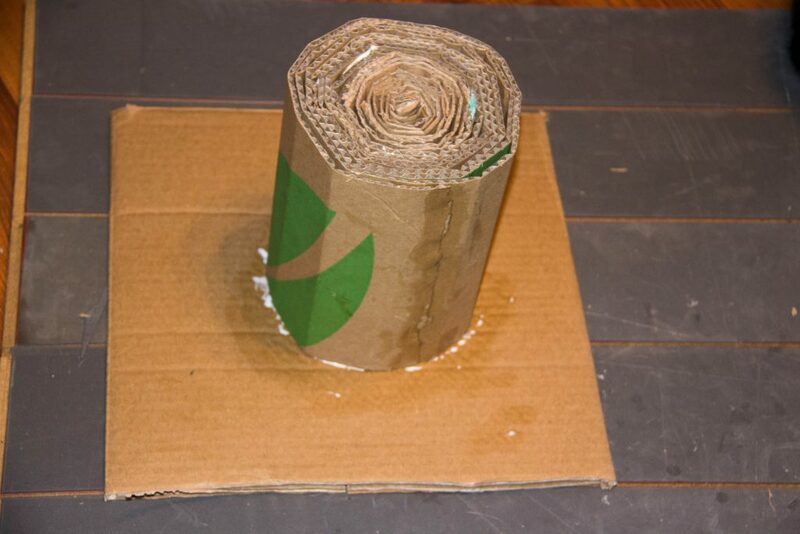 Glue the scratching post down to a piece of cardboard. There are lots of different ways you can make this. 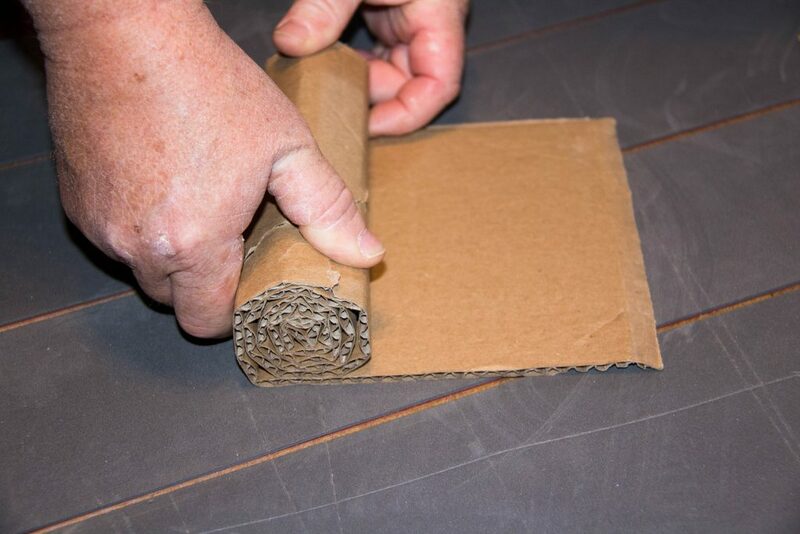 You can make taller ones for the cats to scratch the sides and the top. You can make very short ones so the cats can stand on it to scratch at it. 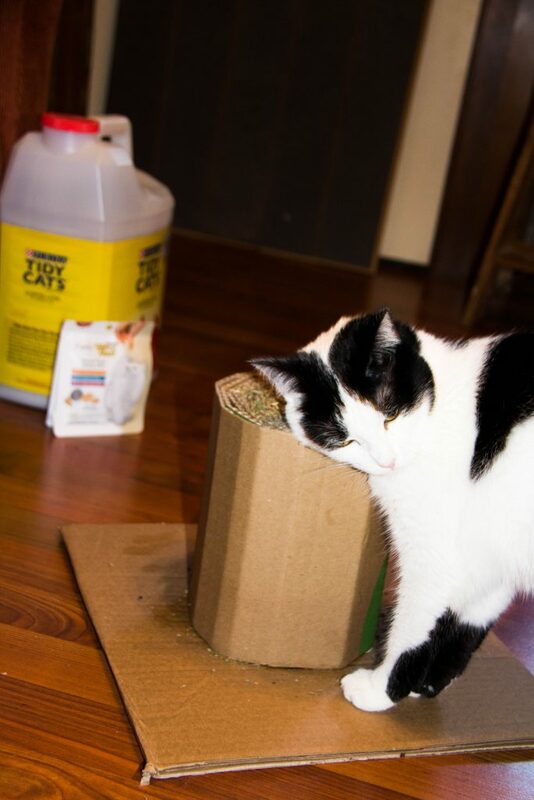 Spread some cat nip on the scratcher and let your cats have a blast. When the cats are done, energize them with some healthy food and a special treat. Keep the kitties bellies full with Fancy Feast and Friskies. 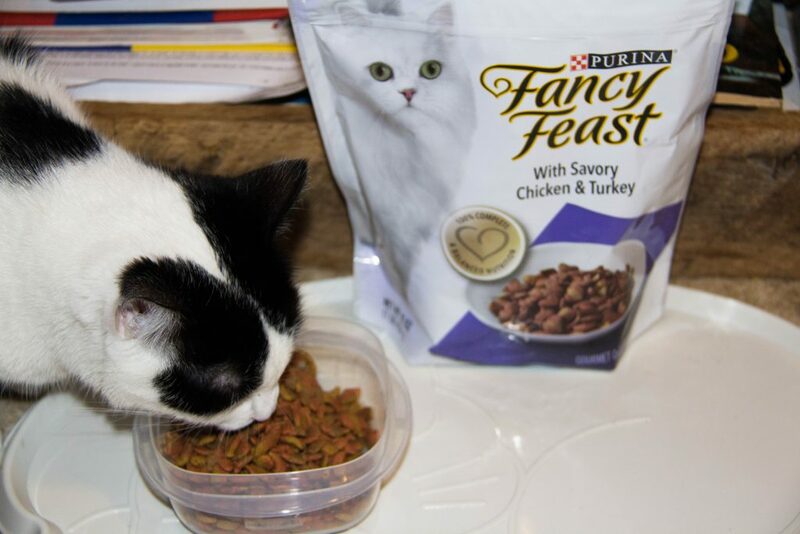 Fancy Feast believes that the love is in the details and wants to pamper cats with great tasting food in a wide variety. 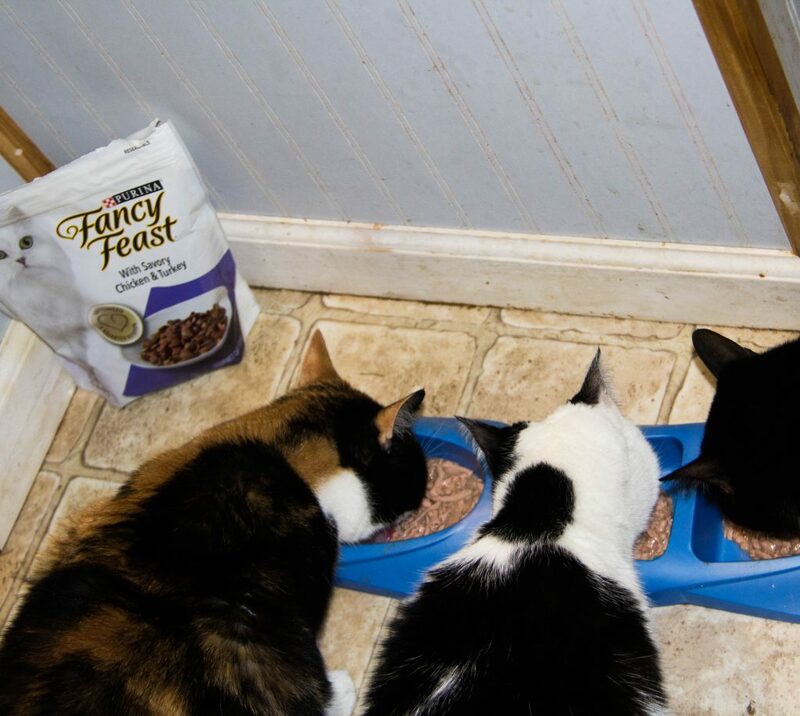 When my cats eat Fancy Feast dry food, they think they are being spoiled and getting treats in the food dish. I am not surprised when the food is filled with premium high quality ingredients. They purr and rub against us. I have never known a cat who doesn’t love wet food. 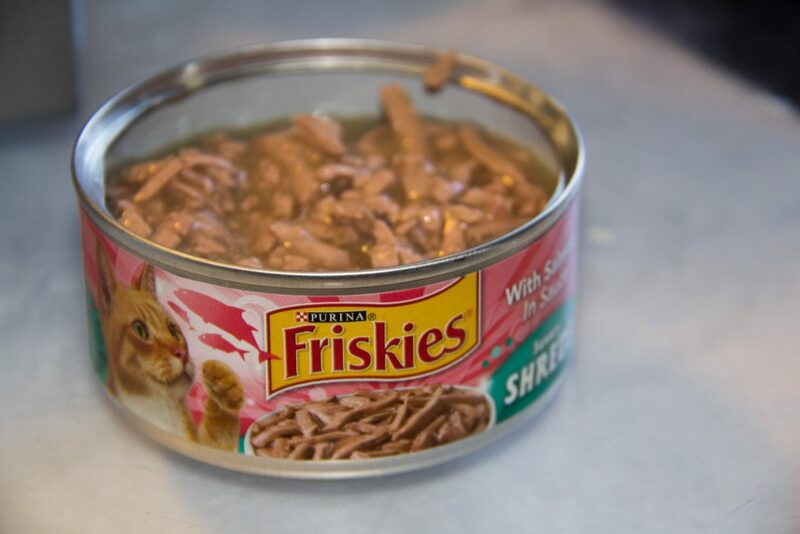 Friskies makes a wet food that my cats love. My cats are full of life and are always into something. Friskies offers wet and dry foods in a variety of flavors. So I said my kitties are spoiled. I admit it, freely and proudly. Part of being spoiled means special treats. Who doesn’t love treats? And it makes the cats so happy. 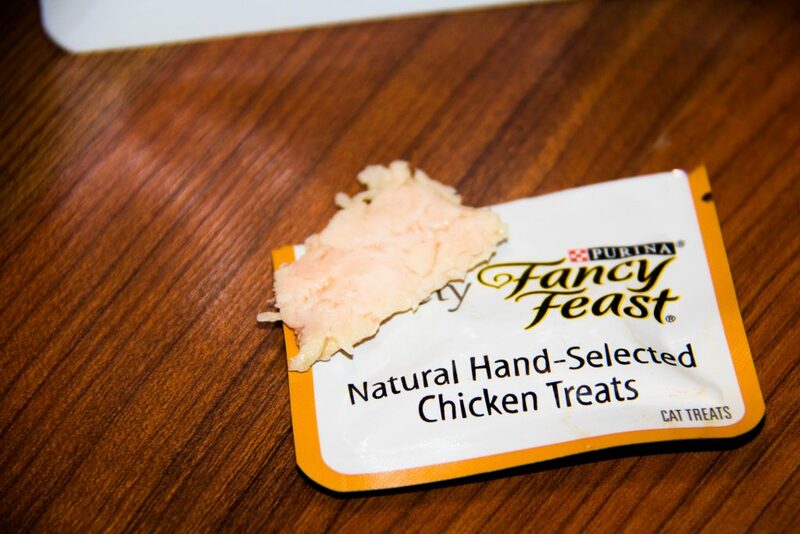 Fancy Feast treats are individually wrapped piece of chicken, salmon or tuna, that are made from real and natural ingredients. I love that there are no by-products or fillers in the Fancy Feast treats my cats love. 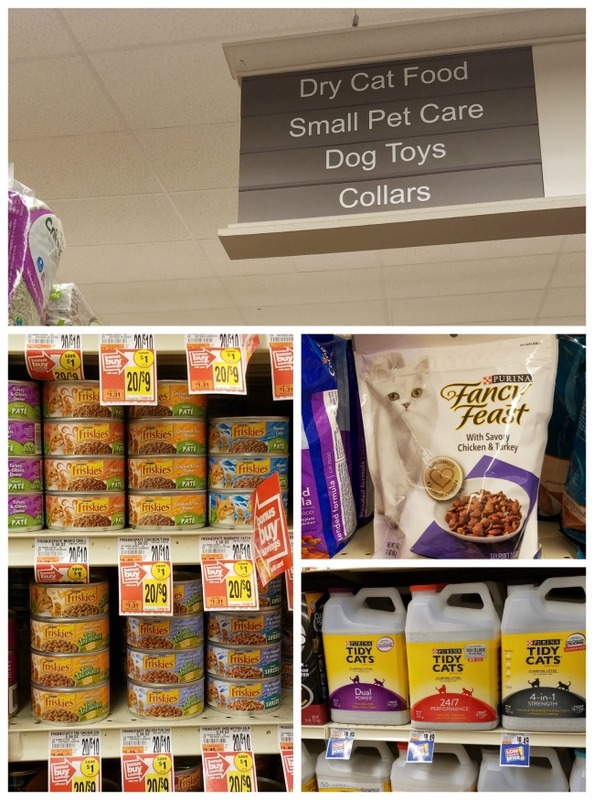 Giant Food Store and Stop & Shop offers a simple way to get everything I need for my cats. The pet supply aisle is filled with Fancy Feast, Friskies and Tidy Cats. I can easily pick them up while I am getting the rest of my groceries. It saves time and gas when I can get everything in one place. As a bonus, the 1/11 issue of Savory Magazine, from Stop & Shop/ Giant Food, features a way to save $2.00 on any one (1) package of Purina® Tidy Cats® brand Cat Litter when you purchase one (1) Purina® Friskies® OR Fancy Feast® Wet Cat Food Item. (good thru 12/30/16). All you have to do is grab a copy when you go into to Stop & Shop or Giant food stores and use the money-saving coupons during your shopping trip.